Indoor cycling has become something of a phenomenon over the past few years. Amusing enough, the workout—which involves pedaling on a stationary bike—has two opposing reputations. The first being that it’s a miracle full body workout. The second being that it’s a monotonous, repetitive exercise. If you fall into the latter category, you’re not alone. But, no worries—there are several ways to change up your workout to make it feel more advanced. Read on for tips on how to make indoor cycling harder. In case you weren’t aware, there are a few different types of indoor bikes. The first, and the one that you’re likely most familiar with, is an upright bike. These bikes are designed to resemble road bikes—handles, saddle, and all. This is your standard indoor cycling bike. The handlebars sit almost parallel to the seat, so when you’re on it, you have to bend forward slightly and engage your upper body. Since back support isn’t provided, you’re simultaneously working your abs and improving your posture as you go. 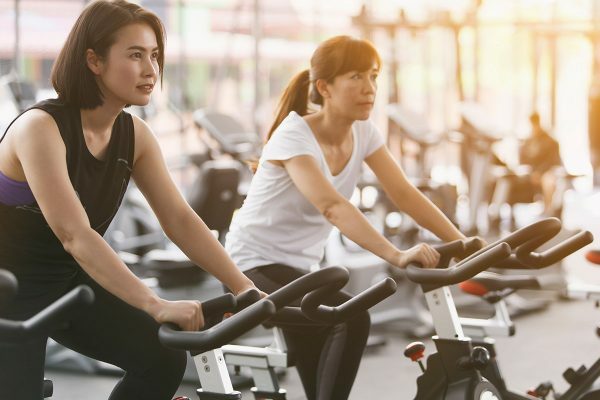 These are the indoor bikes you’ll find set up at your gym for classes, as they provide both a great cardio and strength workout. The second type is a recumbent bike. Like the upright bike, they’re very popular on the gym floor. Unlike upright bikes, however, they don’t mimic an outdoor bike. Instead, they have a laid-back design, with the seat almost parallel to the pedals. This way, there’s more weight on your glutes instead of your feet. Rather than having a saddle, the seat is more like a chair with a backrest. Handlebars aren’t needed when using one of these, but chances are that it’ll have them. These indoor bikes can be used for a variety of reasons—from injury recovery to weight loss. They’re especially good for those suffering from arthritis in the back or hips, a stress fracture, plantar fasciitis, or simply gym-goers looking for a low-impact workout. The third is a dual-action bike. This machine looks like it has the bottom half of an upright or recumbent bike and the top half of an elliptical—easily the least like an outdoor bike. The purpose of these is to not only provide a great workout for your legs but an even greater workout for your arms and upper body. Like elliptical handlebars, you push and pull them with resistance. These are most often used for a more intense full-body workout. Lastly, there’s the airdyne bike. They have a similar seated position to the upright bike but handles similar to that of a dual-action bike. The airdyne utilizes your upper body by having you push and pull the handles while pedaling. Because of this, you work your entire body and can burn more calories in a single workout than you would on an upright or recumbent bike. This covers the bikes you might see in your gym. For this article, we’re going to focus on the upright or traditional indoor cycling bike. This might sound counterproductive, but making your workouts shorter could be the key to making indoor cycling harder. 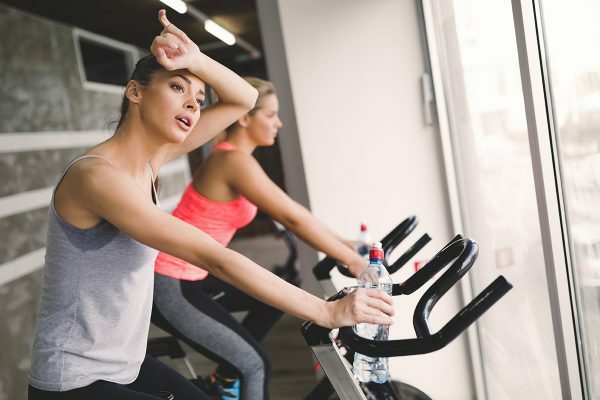 Much like HIIT workouts, you can get a killer 20-minute indoor cycling workout in, so long as you keep your heart rate and energy up. That isn’t to say that longer cycling sessions can’t be worthwhile (have you tried “Push Power Hour”?). But, if you find yourself going the same speed for extended periods of time (or looking down at a book or phone to hold your attention), try upping your speed and lowering your time in the saddle. There’s no need to grind away forever unless you’re really testing that endurance or changing things up (here’s looking at you, “Beat-Based Patterns”). That’s right—workout variations don’t stop at free weights and the stair climber. You can make indoor cycling harder and test yourself with a bevy of different moves and styles. 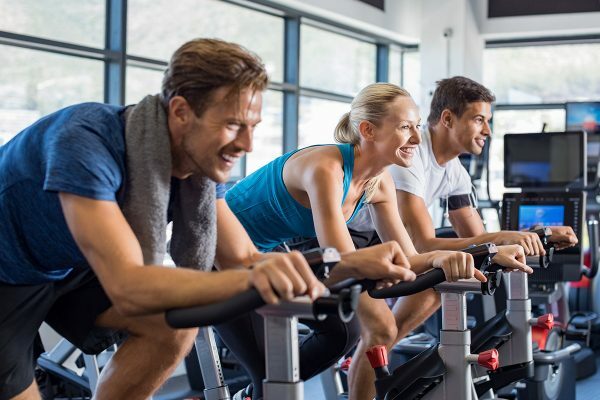 Sprints, intervals, resistance training, hills, speed work, HIIT, high/low cadence, and multidirectional are just a few ways that you can work out on an indoor bike—and that’s without combining them (like resistance intervals, for example). Not to mention tempo riding (which can boost endurance, build speed, and burn fat), one-leg drills, and riding in and out of the saddle (which can build strength). Indoor cycling is the perfect opportunity to try variations that you’d rather not do outside, as well as get out of your comfort zone and challenge yourself to something new. Cadence is the number of revolutions you crank out per minute (much like the pace on a treadmill). You likely have a cycling cadence around 60-90 rpm, and when riding outside you don’t go far from it often. Because of that, indoor cycling is a great chance to push yourself to go above and beyond. For example, during your indoor workout you could aim to do five minutes at 120 rpm, then five minutes at your average, and so on and so forth (aka intervals). Performing drills like this can make indoor cycling harder while improving your speed and stroke smoothness. Last, but definitely not least, considering trying an Aaptiv indoor cycling class. Taking even one class with a great instructor can provide you with a workout structure, help you create and set goals, and be insanely encouraging. 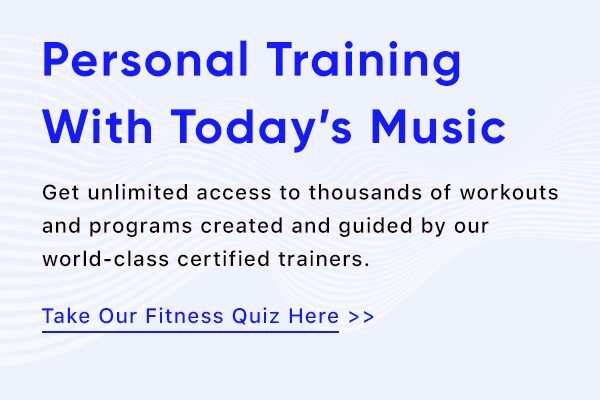 The motivation from the instructor—not to mention an awesome playlist—may push you harder than you thought you could go. You can choose a cycling class that focuses on speed, lower body strength, or form and technique. So, you’re always working towards your specific goals.